Woo hoo! My friend and fellow author, Angel Nicholas, nominated me for the Liebster Award. What does that mean? Well, I’m getting to that! 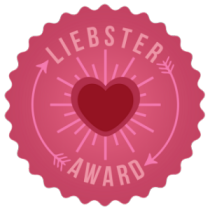 In case you’re not familiar with the Liebster Award, it’s a fun way to connect with other small or medium-sized blogs and to share random facts about yourself. Thanks for nominating me, Angel! I shall endeavor to pass the baton! 1) List 11 random facts about myself. 2) Answer 11 questions posed by the blogger who nominated me. 3) Nominate 11 other blogs for the award and link to them. 4) Notify the bloggers that they are **awesome** and have won a shiny pink blogging logo. 5) Pose 11 new questions for my Liebster nominees. 6) Thank the blogger who nominated me and link back to their blog. As promised—11 random facts, AKA stuff you never realized you wanted to know! 1) I was born in a tiny town in the Black Hills of South Dakota. 2) I would love to learn to dance. You’re never too old, right? 3) My maternal grandparents emigrated to the U.S. from Russia. 5) I won’t watch the movie, The Titanic. I already know how it ends! 6) I love country music. 7) The journey is half of the fun. Give me a cross-country road trip any day! 8) I can get myself more lost with a map than without one. 9) The book that awakened my love of reading was The Count of Monte Cristo. 10) I collect bells from different geographic locations. 1) Who was your hero as a child? My mother, hands down. 2) What’s your favorite beverage? For an everyday beverage, I’d have to say iced tea, but if it’s an alcoholic beverage we’re talking about, set me up a margarita! 3) Are you an only child? I have a brother and a sister. I’m the baby. I also have a half-sister out there somewhere I’ve never met. 4) What’s your dream vacation? New Zealand, of course! 5) Who is your favorite author? Seriously? It would be disrespectful to pick just one favorite author. Lol! 7) What do you do in your spare time? Spare time? I try to catch up! 9) Do you prefer Twitter or Facebook? Why? Facebook, I guess, because I just don’t get Twitter! 10) What’s your biggest guilty pleasure? Um…let’s see…oh yeah…never mind! 11) What would you buy first if you won a $1,000,000? I’d purchase the services of a financial advisor! 1) If you could live anywhere, where would it be? 2) If you could change one thing about your life, what would it be? 3) Are you a dog or a cat person? 4) What’s your least favorite household chore? 5) Are you a glass-half-full or a glass-half-empty person? 6) What’s your favorite flower? 7) What is your fondest holiday memory from childhood? 9) What is the most recent book you’ve read? 10) When you go somewhere overnight, do you like to camp out or stay in a motel? 11) Are you a morning person or a night person? Go forth and question, my fellow Liebster nominees! This entry was posted in Uncategorized and tagged Angel, Blog, Candidate, Color preferences, Facebook, Liebster Award, New Zealand, Russia. Bookmark the permalink. I love getting to know people this way and what cool questions to do so. I’ve never read The Count of Monte Cristo but I’ve heard of it. Maybe I should change it up a little and read the book sometime. My maternal grandparents are from Czechoslovakia. How intriguing that you have a half-sister out there. I wonder if you’re going to look her up. Thanks for the nomination! Loved reading your answers. I like nothing better than a good road trip, too! Enjoy your Liebster Award! Thanks, Patti. My seventh grade teacher handed me The Count of Monte Cristo one day and it opened my eyes to a whole different world. Up until then it was all about Nancy Drew! Sometimes I wonder if I’ll look up that half-sister too. Maybe…maybe not. Happy Liebster!! Happy Liebster, Sharon! This was a fun assignment. There are many things you don’t really think about until you try to put 11 new facts down on paper. Eye-opening and a little scary! Thanks for playing! Who knew we had so much in common, Dixie?!! The ocean, plus I want to learn how to dance and I’ve never watched Titanic either. Like you, I know how it ends and I don’t much enjoy crying. No, thank you. Glad you had fun with this! Lol! Let’s not even get started on our pet peeves in common! Thanks for including me in on the fun, Angel!